The little red dot, Singapore, are known for many reasons like world’s most expensive city for expats for 4 straight years by the Economic Intelligence Unit (EIU) in year 2017. The high cost is justifiable, in a way. 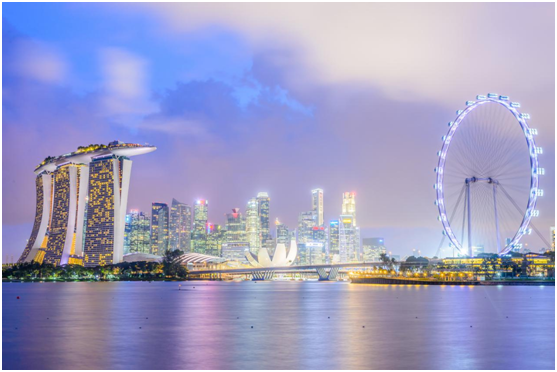 The high standards of living through Singapore’s everyday life and the availability of top jobs and companies settling their base in Singapore that resulted increasing influx of expatriates relocating to the country. Every real estate’s secondary market (except retail market) in Singapore has shown signs of rapid recovery after analysts have presumed they are currently bottom out. Therefore, with counter-cyclical opportunities in abundance, this will entail question of ‘how-to-invest’ by foreign investors that are looking to tap into the market. Though what may seems like profitable investing in Singapore but foreigners still will have to their property tax in Singapore as well, FYI. Nonetheless, here is a guide that simplifies for foreigners to invest properties in Singapore. Before you start investing in properties, you ought to fully understand the type of properties available in Singapore real estate market. It is essential to understand there are no restrictions in buying commercial or industrial properties unlike residential properties. With this, you will be able to decide on the market or property type that you want to invest in. Next, you are going to get that property you have aimed for. You can reach out to the seller or an estate agent to show your intent and interest and reach the agreement on the price. That’s where you will need to take down on the list of costs where your cash needs to pay in order to legalize the transactions. This will costs you to pay cash upfront, usually 1 to 5% of the property price that entitles you to an exclusive right to purchase the subject property within a period of about 3 weeks, your lawyer will inform you about the OTP and sign the documents. Let’s talk about stamp duty which is essentially part of the property tax you will need to bear. There are two types payable for buyer which are Buyer’s Stamp Duty and Additional Buyer’s Stamp Duty. Buyer’s Stamp Duty (BSD) – payable for all type of property purchased and the amount is based on the purchase price or the market value of the property. Additional Buyer’s Stamp Duty (ABSD) – payable only for the purchase of residential properties, like BSD, amount is based on the purchase price or the market value of the property. After you have completed the first two, congratulations on the successful transactions. Then, there is this annual tax you will need to pay although you are a foreigner in Singapore. With the guidelines from IRAS, here is how you calculated your annual property tax. It only applies when you earn rental income from the property you purchased. You will have to declare the amount on your income tax return statement form, under the section of ‘Other income: rent from property’. Costs include: interest paid for home loans, property taxes, fire insurance, maintenance costs and utility bills. In all, these guides should be able to help you be mindful when buying your property investment in Singapore.